A lot of our customers are loving our sublimated patches, and it’s easy to see why. They’re cost effective, can display almost any artwork in a stylish and colorful way, and EnMart turns sublimated patch order in a matter of days. If you’re looking for another product to offer your customers, or a great way to present detailed artwork that isn’t suited for embroidery, sublimated patches are your answer. EnMart has been creating these patches for years, and we know how to create a sublimated patch that is durable and attractive. Now, of course, we don’t have to be the people making the sublimated patches. All of the blank patches EnMart sells are 100% polyester and suitable for sublimating. We have many customers who purchase the blanks and sublimate them in their own shops. 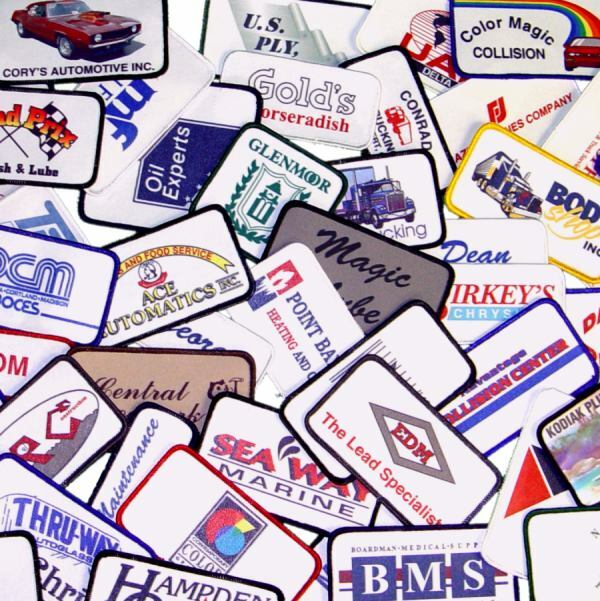 Since EnMart also sells sublimation supplies including printers and paper, we can be your one stop shop for purchasing what you need to create sublimated patches on your own. If, on the other hand, you’re too busy, don’t want to sublimate, or simply don’t have the time to learn something new, EnMart can also serve as your fulfillment house and create sublimated patches for you. For best results we ask that you supply vector artwork, and include a .jpg of the art you want put on the patch. This allows us to create a patch with minimal design work on our part, and also to see what the finished art should be. The minimum sublimated patch order is 25. If you have any questions about sublimated patches, or if you would like a sublimated patch sample to wash test, please feel free to contact us. We’ll be happy to answer any questions you have. Excited to sample your products! Do you need our address?